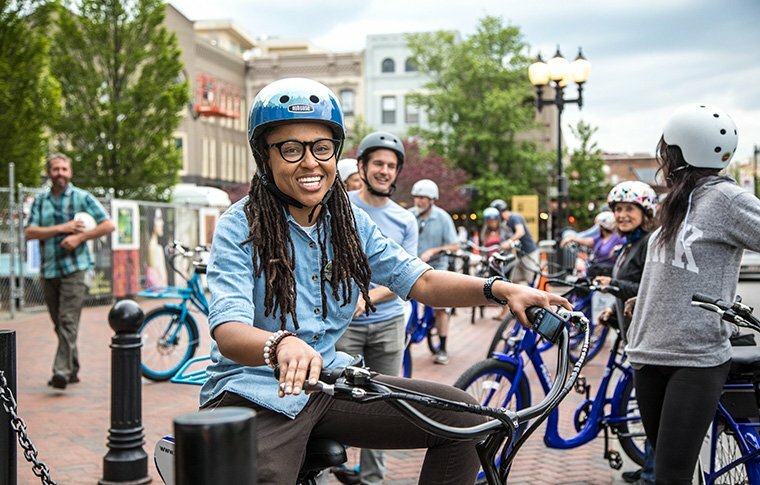 At The Flying Bike, owner Torin Kexel and his staff show visitors and locals alike what makes our hometown of Asheville so special through a downtown guided tour on their high-tech fleet of electric bikes. Their mission is to create joyful experiences and meaningful connections that inspire through conversation, exploration, and personal challenge. Torin and team love the Asheville community and strive to be recognized as a leader in environmentally and socially responsible tourism, providing memorable, well-crafted tours and exceptional customer care, while having a positive impact on our planet and community. Chris has toured with Torin and other guests for a memorable excursion through some of the most picturesque and historic areas of downtown Asheville. We recommend these tours to anyone who is fit enough for a bike tour up and down a few hills, and wants to get a personalized guided tour around town.